With kiddos hitting the streets in superhero costumes tonight, why not dawn your own cape this Halloween? 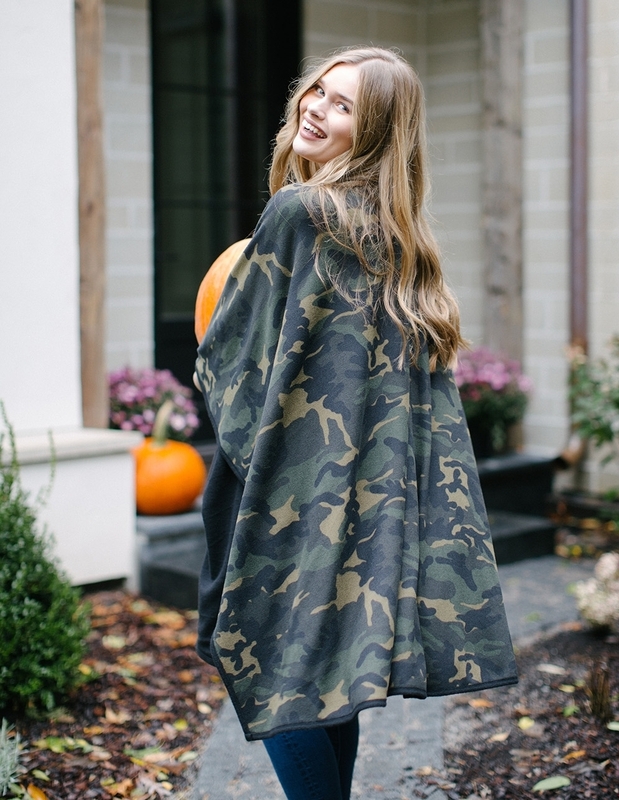 Our fall photo shoot with Melissa Louise Photography features the new camo Rah Rah Reversible Cape (with pockets!) so you can stay warm while handing out candy. And just in case you’re already getting sick of pumpkin-flavored-everything, here’s a gluten-free twist on a fall treat I made this week. Not exactly what I had planned, but when your husband comes home with a big bag of pears (nature’s candy), it’s time to improvise…and it turned out delicous! It’s subtle and not too sweet.